What follows is a brief rundown of an RPG system called Ubiquity, and how it has been used by a group of likeminded people to have fun while scattered across the world, share a beloved system, and demonstrate a seemingly dying approach to play. Below you will find links to lengthy playlists of AP sessions, and links to lengthy playlists of commentary videos about those sessions. The participants discuss what was done, why it was done, how it was done, if it should have been done differently, and so on. 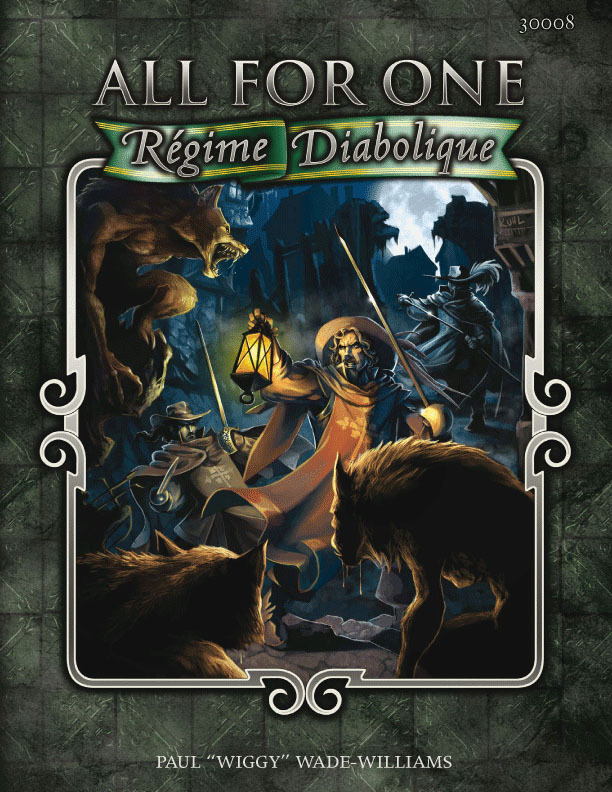 All for One: Regime Diabolique, produced by Triple Ace Games, licenses the Ubiquity Roleplaying System from Exile Game Studio's, Hollow Earth Expedition. All for One (AfO) proposes a supernatural 17th Century France where all the things we feared were lurking in the darkness actually exist, and where there really is a war between the forces of Heaven and Hell for the souls of humankind. Characters in the core version of the game, are members of the King's Musketeers, and are proud of it. Ubiquity is a die-pool system rolling for numbers of successes, with each die having a 50% chance of producing a success. Dice results do not trigger explosion or implosion, and modifiers are restricted to adjusting the number of dice rolled, and/or the threshold number of successes needed before successes rolled begin to accumulate. A major benefit of the system is its ease of determining when an 'auto success' can be taken aids in the speed of resolution and in feeding into the genres chosen for play (heroic pulp, sword and sorcery, swashbuckling, etc). Starting with four, then proceding with three GMs, the open-ended campaign cycles through each GM in turn with the others taking on the roles of the major and minor characters. Between sessions featuring all the players, solo sessions are run for the GM who has just run a session. In addition to playing live via Hangouts and sharing the sessions, we have been recording 'recap and reflection' videos in a variety of formats. Some of these are in-character monologues, others are system observations from the player point of view or the GM point of view, while still others are more like a post-production commentary. After each session, each participant has recorded their thoughts and shared them. We are playing it this way for a few reasons. The first is that this has started to feel like a forgotten way to play for me. I do not see many, if any, examples of round-robin campaign play in shared settings, and very little in the way of open-ended campaign play. Second, is that the people who came together to play are at heart, more inclined to GM games and I felt that each of us should be able to enjoy the game from both positions - each of us adding our own touches to the world as creative influences behind the scenes, and inside them. For a few sessions, I have provided specific annotations about some aspect of play, such as system information, GM thoughts, or in one lengthy example, a tour of my mind during a very moving solo session. The campaign has been running for a little over a year. When it began, I was the only member of the group with real experience with the system. Now, the other members of the group have taken to the system like fish to water, and are using it on their own for other projects - which is exactly what I hoped would happen. Games, I feel, thrive on the sharing of them. Ubiquity character generation revolves around creating a strong starting image of the character, and focusing on the elements which support that character, rather than delving into great detail and granularity. Characters begin with an Archtype, are defined with a Motivation, and refined with one or two specific Flaws which tie them to the genre and provide initial roleplaying cues. Characters have six Attributes which pair with a few selected skills to form the basic dice pools used in the game, or pair with each other to form a few derived traits for situations not requiring skills. The character creation process begins with quick presentation of the genre and its expectations, moves thrrough stereotype into specifics, then sets you loose to follow your Motivation under the influence of your Flaws. Finally, players can earn an in-game currency called Style to allow them to adjust dice pools, and alter specific circumstances in concert with the genre. The campaign explores the desires and ambitions of four new musketeers as they do their duty to King Louis XIII in the year 1636 in a France that is not entirely our own. One, Jean-Marie, is dedicated to seeking the demonic creature which slew his son. One, Phillipe, is dedicated to finding fame and attention for his skill. One, Alphonse, is blatantly dedicated to love, laughter, and the pursuit of pleasure. The last, Martin, is dedicated to forging a new destiny for himself after rejecting a dark birthright. The campaign itself is comprised of a series of one-shots. 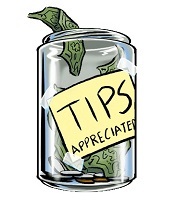 Detailed campaign records are kept in a shared OneNote document that is updated after each session. After each cycle of play (where each GM has run 1 session and played in 1 solo session, while 1 other GM has run 1 solo session for each of the other GMs) has been completed, we meet to discuss the experience of playing through that cycle and what - if anything - we wish to alter about the campaign. That can be anything from tone to basic rules. So far, the campaign has been conducted according to rules as written for Ubiquity, but some rules from other Ubiquity game lines have been added into the campaign due to our specific circumstances of play. This is a treasure. I guess I have some work cut out for me, but for now, this is my stunned joy, like a miser hit on the head by a gold bar.